Did you know that you can learn to identify cloud types to help you predict the weather? Although meteorology is a complicated science, just looking at the clouds can tell us much about the upcoming weather. 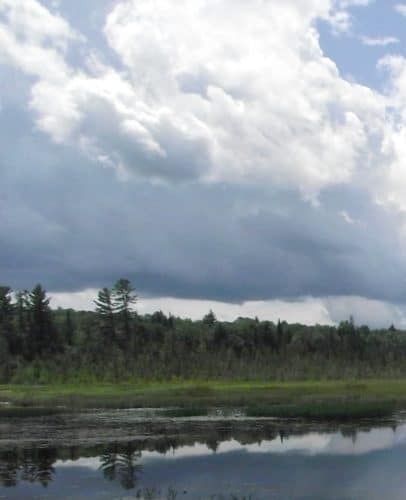 Observing and identifying cloud types is a great way to get kids outside, help them hone their prediction-making skills, and even learn some Latin! 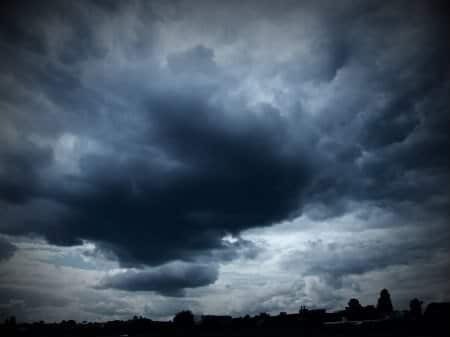 Most of us are familiar with various types of clouds, like the big dark ones that build up before a thunderstorm, or the puffy ones that float by on a sunny day. However, you may not know their Latin influenced names like Cumulonimbus or Cumulus. Although the multi-syllabic names may seem daunting, they are actually pretty easy to break down and understand. Most cloud names come from just a few Latin roots. 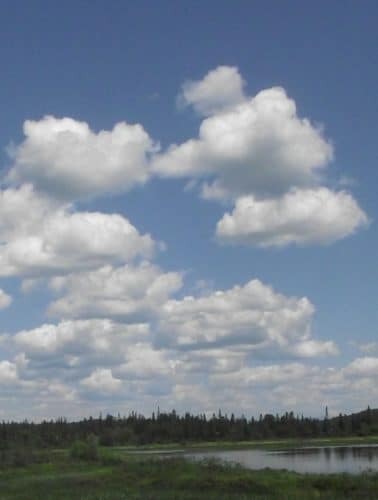 Cumulus means “heap” and are the fluffy, puffy clouds we see on a nice day. Cirrus means “curl of hair” and are the thin wispy clouds you see high in the sky before a storm arrives. Stratus are the blanket-like clouds that cover the sky on an overcast day, and Nimbus are dark rainy clouds. Once you’ve learned these roots you can easily combine them to make one of those big cloud names like Cumulonimbus (puffy, dark storm clouds) and Cirrostratus (wispy clouds that blanket the entire sky). 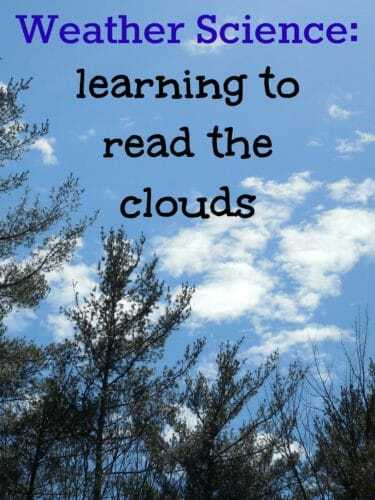 Check out the flashcards and weather prediction worksheet available here to help you practice your cloud names and types. It’s a lot of fun to take kids out on a cloud walk. Observe the sky, what do you see? What fun shapes do the clouds make? 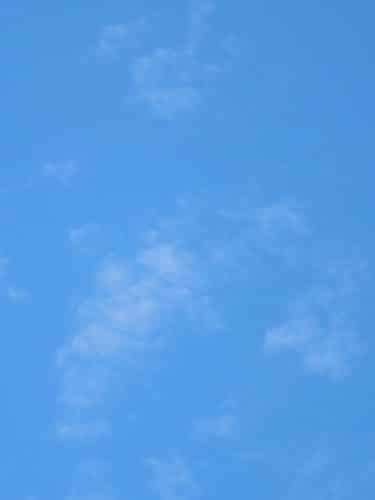 Where in the sky are the clouds? Are they thick, or thin? How much of the sky is covered? Start out slow and begin to take notes on what you’ve observed each day. See if you can make observations for a week or more. 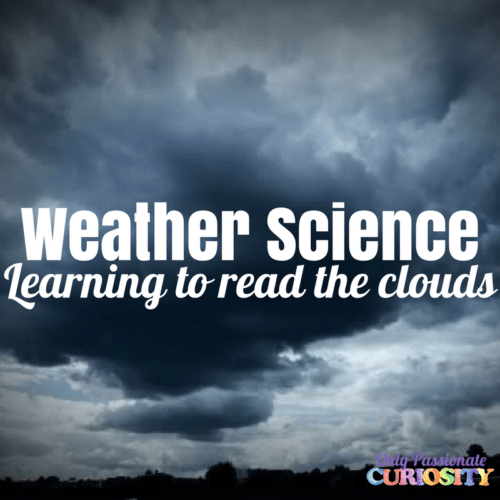 What type of clouds precede what type of weather? Can you find a pattern? A cloud chart can be a helpful tool in your quest to predict the weather with clouds. You’ll find an excellent printable one along with free lessons through the NASA S’COOL program online. S’COOL stands for: Student’s Cloud Observations Online. Learn more about NASA S’COOL here. I’ve participated with 5th graders in the NASA S’COOL program for several years and it is a wonderful way to provide an authentic science experience for kids in middle school through high school. By observing the clouds and submitting data you are part of a real NASA weather and climate project. Once you have your cloud identification skills down, you might want to begin monitoring other aspects of the weather. Changes in atmospheric pressure and humidity can tell you a lot about future weather patterns. I really like the Weather Center from Learning Resources. As far as real science tools for kids go, it is reasonably priced, sturdy and very portable. It includes a thermometer in Celsius and Fahrenheit, a hygrometer for measuring the humidity, and a barometer for measuring atmospheric pressure. They are easy to read and learn from and includes a guide in case you’ve never read this type of instrument before. A concept like atmospheric pressure may seem daunting, but to start off, all you really need to know is that as the pressure goes up, the weather becomes more clear, and as it drops you are more likely to see rain or some sort of weather event. You can remember it this way: High pressure means Happy weather, and Low pressure means Lousy weather. With these skills you and your kids can give your local weather reporter a run for their money! Happy Weather Predicting! Sarah Benton Feitlinger is a former Preschool-6th science teacher, blogger and science curriculum developer and mom. She is passionate about educating children, and loves anything and everything science! Check out her blog, Share it! 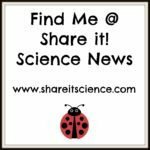 Science News for science activities, lessons, science news and other resources for teachers, homeschoolers and parents. Follow her on social media: Facebook,Twitter, Google+ and Pinterest.